Travel to Tanzania for the most diverse safari destination in Africa. Most famous for the Serengeti wildebeest migration, Tanzania also offers Big 5 game viewing, the largest elephant herds in East Africa and chimpanzee tracking safaris. Home to the ‘Spice Island’ Zanzibar, Tanzania is also a place of white-sand beaches, teeming coral reefs and dhow cruises at sunset. If you do want to witness the migration, you’ll need to time your visit as the wildebeest move around the park according to season. You’ll need to book early too but it’s worth the early commitment: the Serengeti is home to some of the most action-packed events of the migration. The birthing season attracts big cats and wild dogs; the river crossing season is when the herds run the gauntlet of giant crocodiles on their return to the Masai Mara. Tanzania’s best known safari destinations – the Serengeti, Ngorongoro Crater, Lake Manyara and Tarangire Park – are easily combined and known collectively as the northern safari circuit. It’s easy to add a beach holiday onto the circuit, making Tanzania travel attractive to families as well as honeymooners and romance-seeking couples. Accommodation ranges from tented bush camps to grand safari lodges as well as city hotels and private beach villas. Ideal for first-time safari travellers, Tanzania is also the perfect destination for seasoned safari-goers. Standards of guiding and service are high, and several places accommodate families with young children. 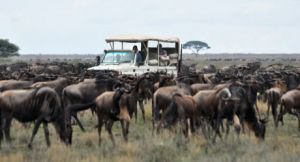 The country’s less-visited parks and reserves have healthy reputations for game viewing and are home to some of the greatest concentrations of Africa’s biggest animals such as elephant and lion. Tanzania also combines well with neighbouring Kenya. 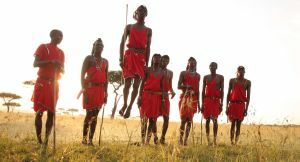 Serengeti migration safaris often include Kenya’s Masai Mara on the itinerary, and so you have the advantage of seeing the migration in one place as well as enjoying crowd-free game viewing in the other. And if you want to supersize your safari, it’s simple to add on a gorilla trekking adventure in Uganda or Rwanda. The Serengeti – home to the wildebeest migration at its most dramatic, this iconic reserve delivers excellent game viewing all year round. 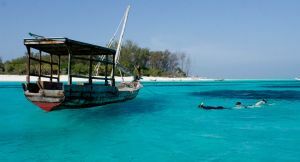 Zanzibar – blend the easy beach life with water sports & tours to spice plantations & historic Stone Town. 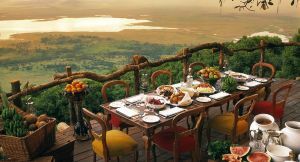 Ngorongoro Crater – extraordinary Big 5 game viewing & on-the-rim accommodation, all set close to the Serengeti. Mount Kilimanjaro – whether you hike to the top or stand at its foothills, Africa’s highest peak will live long in your memory. Lake Manyara – a great add-on to a Serengeti safari: tree-climbing lions, hippos & elephants plus boat & canoe trips. Tarangire National Park – combining easily with Manyara & Ngorongoro, this park is famous for its elephant herds, predators & bird watching. 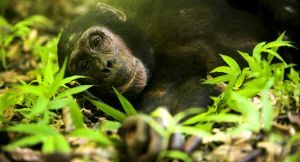 Mahale Mountains & Gombe Stream – the best place to see wild chimpanzees in Tanzania, you’ll explore mountainous rainforest for habituated troops plus forest wildlife. Selous Game Reserve – Africa’s biggest reserve is home to some of its greatest populations of heavyweights – lion, elephant, hippo & buffalo. Rubondo Island, Lake Victoria – the largest island reserve on the continent, Rubondo’s forests are a sanctuary for elephants, antelope & chimpanzees. Ruaha National Park – wild & remote Ruaha has a reputation for predators & elephants – go in the dry season when animals concentrate at water. Tanzania’s fabled Serengeti is the backdrop to some of the migration’s most dramatic episodes – the birthing season, great treks & crocodile-dodging river crossings. You’ll need to book early for the best months. 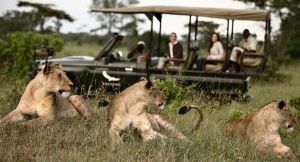 Spot the Big 5 Looking for Africa’s easiest Big 5 viewing? The Ngorongoro Crater is home to lion, elephant, buffalo, rhino & leopard & it’s not unusual to see them all in a drive or two. Join your guide on a tour into the local community to meet village elders, swop stories & learn about life in big game country. You may get the chance to join a traditional ‘jumping dance’! Enjoy a luxurious Indian Ocean beach holiday & excellent diving at a mainland resort or exotic Zanzibar. It gets even more exclusive on Pemba, Mafia & Mnemba islands. Travel to Tanzania for one of Africa’s wildlife secrets: encounters with wild chimpanzees in the magnificent Mahale Mountains and Gombe Stream. 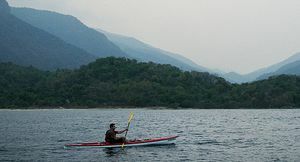 You’ll also spot forest animals & birds & enjoy sunset cruises on Lake Tanganyika. Home to tree-climbing lions, Lake Manyara offers game viewing, birding & boat trips but head for the lush forests of Lake Tanganyika & Lake Victoria for chimp tracking adventures. Whether it’s the vast Selous Reserve or East Africa’s biggest elephant herds at Ruaha Park, there’s always something away from the crowds in Tanzania. Wild places, wonderful accommodation & virtually private game viewing. 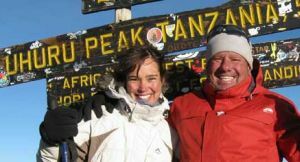 Africa’s highest peak is more than a bucket-lister: you’ll hike through an ever-changing landscape & make lifelong friends on the way. 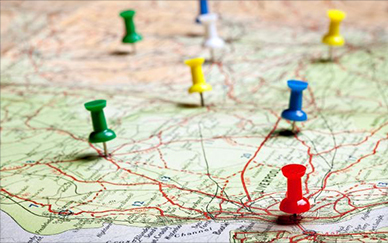 Different routes cater for different abilities – ask us for more information. Experience the extraordinary with Safari Online, let us tailor-make your trip to Africa.